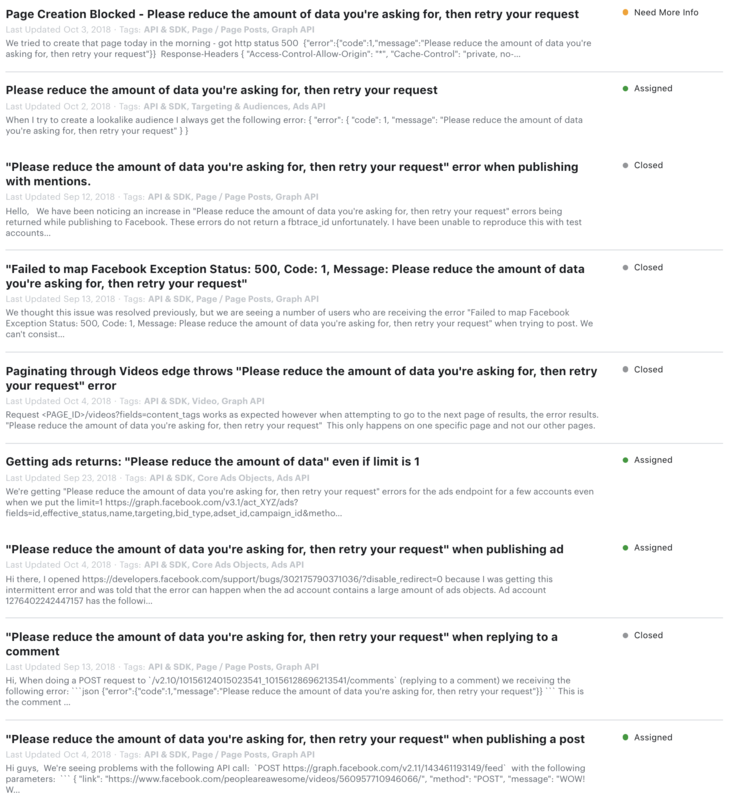 This is a known Facebook API bug, that affects many parts of their API (see their bug reports below). They have stated that the cause is their servers run out of memory. Most reports indicate that the problem is caused when including Page mentions in your post. We have found that sometimes the post is published successfully to your Facebook Page, even though SmarterQueue shows the post failed. You should check your Facebook Page to see if the post was published or not, and take action accordingly. If retrying the post continues to fail, the Facebook API may be unable to publish the post with the mention included, so you can try posting natively on Facebook.com, or scheduling the post and adding the Page mention by hand afterwards.